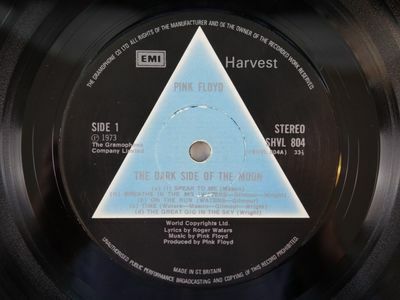 Original UK first issue LP from 1973. Has got solid light blue prism labels. Comes with original black inner sleeve. The right front opening of the gatefold cover is not sealed. Does not come with stickers or posters. I have included about one minute from each track on the LP in the soundclip below recorded directly from the LP up for grabs without any sound altering. Have a listen below!